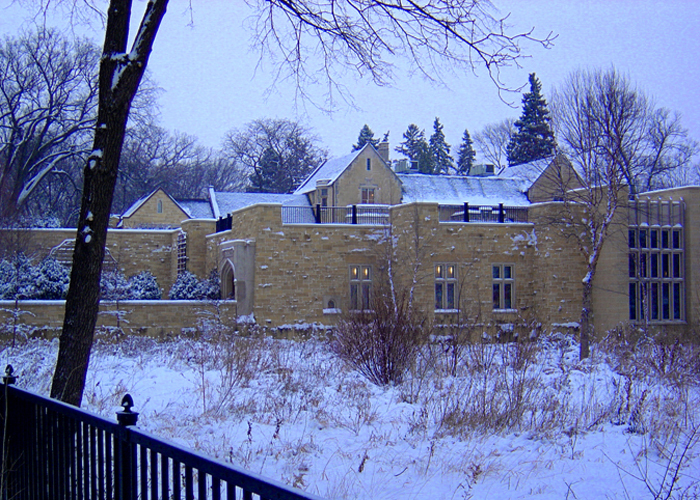 Architect: Meyer, Scherer & Rockcastle, Ltd. 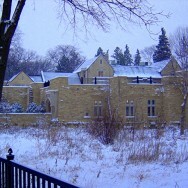 The 12,000 square foot addition to the Bakken Museum, which was originally built in 1930, lies underground and directly adjacent to the existing building. One of the project’s greatest challenges was the successful design of a temporary support system that was capable of maintaining the structural integrity of the east vestibule during excavation. Underpinning of the existing east foundation wall was necessary in several places because of the depth of the new lower level. The roof of the addition is in line with the first floor of the existing building and serves as a green plaza. To accommodate the heavy loads associated with green roofs, e.g., soil, water, planting materials, a cast-in-place concrete system was used for its strength and relative thinness. Front and back visitor entrances were relocated to the new addition, improving handicap-accessibility. An elevator and two new vaults were also installed in the new addition.